The cliché that the Sri Lankan government emerged victorious in the separatist Eelam war but failed to win the hearts and minds of the Tamil population is very true. Not long after the end of the war began the attack on the Muslims. Both the previous government, which is credited with the victory and, the present government have miserably failed in creating an environment facilitating co-existence for its minority citizens. This dereliction is an indictment on the former President Mahinda Rajapaksa, sitting President Maithripala Sirisena and the Prime Minister. Each of them singularly and collectively lacked the political will to take affirmative action in the matter of race relations. The Prime Minister’s frequent rhetoric on the drive towards development, luring foreign direct investors etc. is doomed without the foundational issue being adequately addressed. No foreign investor will be willing to park his funds in a market overshadowed by chronic ethno-racial tension. Insecurity is a major factor, among others, that would remain a threat to stability and growth prospects of any economy. To pat oneself on the back for ensuring law and order by ordering the police and military to a trouble spot is simply treating the symptom. What the country needs is a scientific and qualitative approach to address the root cause and mitigate its effect. Deliverables, however, are not robust and have not been felt on the ground. This does not mean that they do not do anything at all. On the contrary, whatever is being done is insufficient and has not reached the wider audience – the masses. Also, apparently, these institutions lack momentum. It is also imperative that they co-ordinate their activities to support the training of Police personnel on diversity (see below). Racism in the Sri Lankan society is a reality. The subtle or covert form of it is experienced almost on a daily basis by those belonging to ethnic or religious minorities. Everyday racism like being ignored, ridiculed or treated differently in circumstances, do not make headline news. However, the covert nature of such microaggressions are symptomatic of the prevalence of this ‘disease’ in the people. The cumulative effect of such aggressions over a period of time impacts on the thinking of both the target, as victim of racial prejudice and, the racist, as the aggressor with a sense of superiority. The unfettered and unchecked progress of this sense of racial superiority is dangerous to society. History teaches us the lesson of death and destruction which had its roots in racial superiority. Hitler’s fascist Nazi idealisation of the German ‘Blut und Boden’ (Blood and soil) is reflected in the Sinhala Buddhist ultra-nationalism and Sinha Le manifestations in Sri Lanka. Racism like cancer metastasises fast. The agents of metastasis are the social media and the monks. In their cultural tradition, the Buddhists pay obeisance to monks with great reverence. This reverential bonding psychologically places monks in a position of influence over the thinking and behaviour of the lay people, especially the youth. There is sufficient empirical evidence for this. Some of these monks, instead of inculcating samma ditti (right view) in the minds of the people, they are teaching hatred, intolerance and vengeance. Instead of weaning the lay Buddhist youth from violence, they lead them to thuggerism. The social media is an easy platform to spread evil and indoctrinate the rest of the gullible people. Similarly, the novice monks too are under the sway of their seniors. This writer has explained in an article before about the detrimental effect of this dominant and peer influence. (See: Culturing Fear & Hatred In The Sinhalese Mind – 21 May 2017 – Colombo Telegraph). The full-blown effect of covert racism can be seen manifesting itself in a totally unrelated incident finally, taking the form of racial conflict. Let it be a road accident, an argument with a bus driver or a love affair if the parties involved are Sinhalese and Muslims the outcome is different. In the distant past, such events were dealt with according to the nature of the problem. Not so, today. Once two of my Sinhalese friends and I were on our way to a wedding function. While walking past a certain area, some guys rushed to assault one of my friends to settle an old score. I intervened to save my friend and they engaged me. The three guys who attacked my friend were all Sinhalese. My friend, too, a Sinhalese. Today, such an incident will be converted into a ‘thambiya gehuwa’ incitement (‘thambiya’ a supposedly derogatory word used against the Muslims by the Sinhalese, ‘gehuwa’ hit). This stands as proof of the drastic social transformation that has evolved over the years towards ungodliness. The genesis of the racial violence in Gintota a few days ago was in fact, an accident which happened on 13.11.2017. If all were Sinhalese, the angry crowd may burn the vehicle or assault the driver and the matter ends there. Since the parties in the Gintota incident were the explosive combination – Sinhalese versus Muslims, it took the form of racial violence. The advanced stage of covert racism is its graduation towards the much serious form of institutional racism. In Sri Lanka, this progression has now fruitioned considerably in the affairs of governmental institutions especially, the Police. The sight of policemen driving past, waving their hands at the looters, arsonists and killers in response to the latter shouting ‘jayawewa’, during the 1983 pogrom, is a spine chilling reminder of institutional racism. Even in Gintota, some allege that the Police were mere bystanders when some business premises were attacked. There are also allegations that some Policemen were themselves involved in damaging the properties of the Muslims. Many were the tales of such non-intervention or complicity by the Police during the June 2014 Aluthgama riots against the Muslims instigated by the infamous Gnanasara Thero. The previous government never made an attempt to check such institutionalised racism. This lapse had contributed in normalising what would otherwise be named as racial discrimination. It must be stated unequivocally that there are Police Officers with the highest integrity. Unfortunately, the lower rung is populated with some unsocial elements stigmatising even the good apples amongst them. 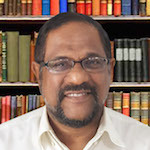 If the government is thinking in terms of development and a prosperous Sri Lanka, it needs to seriously device mechanisms to arrest the metastasising of racial prejudice amongst the majority community. The government must take on this task of reorienting the Police and the Special Task Force (STF) which are important state security apparatuses. The Police department must enlist the services of race relation experts, social scientists and social psychologists to develop a curriculum to train the Police personnel. There is a need to provide a new regime of Police training directed towards maintaining neutrality in matters relating to racial, ethnic and religious conflicts. Every policeman must be put through a mandatory reorientation programme in batches. They have to be prepared to handle such sensitive and potentially explosive matters with caution, empathy and justice. Educate and share with them the values of equality, diversity and human rights which are expected of them in honour of the uniform they are wearing. The law enforcement authorities must bring to justice all miscreants of the Gintota incident irrespective of their ethnicity or religious stature including members of the Police. The Police Media Spokesperson Ruwan Gunasekara during a media briefing said, “The measures we are taking against these disruptive and extremist groups are in accordance to the provisions of Act No. 56 of the International Covenant on Civil and Political Rights.” According to the Act’s provisions, the arrested can be given bail only through the High Court only upon presenting extraordinary reasons to court. Well done, Sir! Would you also seriously investigate the allegation of Police involvement? A parting question to the Police: Why were not the so many suspects which also include monks, who had blatantly violated the provisions of the ICCPR in the recent past, not booked under this law? It is a fundamental principle of a progressive society to establish the rule of law. This has to be done without the influence of institutional racism, political opportunism and soft peddling on monks who breach the law. Why were not the so many suspects which also include Monks, who had blatantly violated the provisions of ICCPR in the recent past, not booked under the law? This is because our constitution gave a special status to Buddhists which includes Monks. The special status can be interpreted that they are above the law. Gintota was staged as a distraction from the Bond scam! Bond Scam Ranil has promoted a culture of impunity and immunity for politicians and their cronies to carry out Hate crimes in order to cover up Financial Crimes and grand larceny. Muslims only political parties. What is that Institutional Extremism or we all are human and equal policy ? Please google and browse Myanmar to clear your questions. Every one can advocate theories and practices to eliminate “Racial” (I prefer to call it “Tribal”) tension that presently prevails in the country. Whatever the reasons are, one thing that is very clear is the involvement of dirty politics operated through political leadership. Just look at the number of such political parties that have sprung up in the last six decades and the damage those entities have done to the country and the nation; Sri Lanka and Srilankans respectively. To begin with, I feel, all such political entities representative of any type of “Ethnicity” (Tribe) must not be permitted. That very segregation suggests “Division” and the real trouble starts with the direction such entities take and the dictates of the respective leadership. That is how we witness the “Dog Fight” staged at every now and then resulting in instability of reaching a common goal of being a Nation. These incidences are taken as examples and the “Dog Fight” is set in motion and the maximum benefit is reaped by the Leadership while the “Dogs” are let loose to fight. These “Dogs” will be led by those who hold “Leadership Power” and it will be a continuing feature, unless and until all “Dogs” learn to “Share” the born. Will that ever happen or particularly allowed to happen? Doubtful. Who are the purveyors of Racism in this country? Simple. Certain sections of the Buddhist Sangha. The country could move forward only if they are dealt with. Who will bell the cat?! Let me add, parties with racial/religious identity (including Buddihst) must be dealt with. Sinhalese are paying the price for the blunder committed by King Senerath who allowed Muslims who were persecuted by Portuguese to settle down in the interior parts of the country. Cannot trust Muslim politicians. When it is beneficial for them, they are with Tamils and screw Sinhalese and when they want to screw Tamils they take the side of Sinhalese. King Senerath not settled the Muslims from Mars,but from south western part of Sri Lanka(persecution of Portuguese not just because of religion but trade with interior Sri Lankans ie with Kandian Kingdom-(with enemies of Portuguese) when portuguese came to Sri Lanka,colombo was under the Muslims (majority folk were Muslims in Colombo)).many so called racist Sinhales are recent imports of Andra pradesh. Exactly said,………Bandaranayake,Senanayake,Shenali,etc are not indigenous surnames of Sri Lankans. So they are recent Paras from India in the Land of Native Veddah Aethho? Check their DNA and genetic markers. Through a comparison with the mtDNA HVS-1 and part of HVS-2 of Indian database, both Tamils and Sinhalese clusters were affiliated with Indian subcontinent populations than Vedda people who are believed to be the native population of the island of Sri Lanka. If King Senerath did not save, Portuguese would have wiped out all the Muslims. Portuguese massacred all the Muslims in the coastal areas in South. Muslims were much loyal to the Kings of Kandian Kingdom,so they rescued them,if Portuguese not persecuted Muslims,Muslims would be the Majority of western coast of Sri Lanka..Portuguese even massacred the Sinhalese Buddhists. Portuguese were an extension of the Catholic Popes, who divided the Earth between the Catholic Spanish and the Catholic Portuguese. Muslims, Buddhists and Hindus are to be ultimately converted to Catholicism, but the Muslins had the allegiance to the Kandyan and Sinhala Kings before the arrival of the Portuguese. The Portuguese did destroy many Buddhist temples, and subjected the Muslims to many hardships, similar to the ones they imposed in the Iberian peninsula. It was natural for the Muslims to seek shelter from their Kandyan Kings, for whom they have served for a long time. Portuguese Ceylon was the control of the Kingdom of Kotte by the Portuguese Empire, in present-day Sri Lanka, after the country’s Crisis of the Sixteenth Century and into the Kandyan period. The Portuguese presence in the island lasted from 1505 to 1658. Their appearance coincided with the political upheaval of the Wijayaba Kollaya, and they were drawn into the internal politics of the island as they sought to establish control over the lucrative cinnamon trade that originated there. The Portuguese used these internal divisions to their advantage during the Sinhalese–Portuguese War. Direct Portuguese rule inside the island did not begin until after the death of Dharmapala of Kotte, who died without a heir. He bequeathed the Kingdom of Kotte to the Portuguese monarch in 1580. That allowed the Portuguese sufficient claim to the Kingdom of Kotte upon Dharmapala’s death in 1597. Portuguese rule began with much resistance by the local population. You seem to be conveniently omitting the fact that they captured the Jaffna kingdom which is the entire north the district of Trincomallee north of the Maheveli river and the north west coast up to Chilaw. They destroyed over 550 Hindu temples and forced the population other than in Vanni which was still independent to become Cahtholics. You and that Muslim fake Aryan are conveniently omitting the fact that the most of the fleeing Muslims were given refuge in the Tamil East and not in the Sinhalese Kandyan areas, as the Sinhalese did not want them. In order to survive, minority parties will always align themselves with dominant forces (whosoever they may be), to either gain political clout including safety in numbers, or for seeking protection from the violence and assuring survival of their own species. Marauding mobs will always keep decimating Muslims them disregarding their minority status, like the Rohingya Muslims in Myanmar. No one can be trusted to betray their religion and religious beliefs, thus they will always be faithful to their own.kind, and not take into trust any outsiders who oppose the tooth and nail. All the political parties with racial/religious names like BBS, SLMC, TNA etc. must be banned. They’re the culprits promoting racism. Gintota is only the tip of the iceberg. I think the Muslims wants to make a mountain out of a molehill. Have a Gin and Tonic with Ice and lemon. The Muslim issues as deep as the ice in your Gin and Tonic. the people together through education? that is through presenting a case and objectively looking at that without any emotions attached collectively for a solution perhaps? A excellent example of how ethnic/religeous violence is instigated by interested parties is shown in the movie “Dekh Tamasha Dekh”. Subtitled version is available on EINTHUSAN site. Despite above comments, as a SriLankan,I sincerely believe that incidents occurred in Gintota or Aluthgama should not have been occurred.It is the responsibility of the Government and the entire nation to avert such tragic situation..Consequent to 30 years war the Sri Lankan Govt has miserably failed to establish National Amity/Unity and Reconciliation .ATLEAST now Govt. .should adopt a scientific macro approach and implement urgently long term plan starting from the base i.e., village/city,school to establish National Unity and Reconciliation…For this purpose we all should get together and act …It is stil not too late when we witness mass human destruction happening in Islamist Countries!! !